Transportation can’t recognize boundaries and since Wave Transit can’t serve every surrounding community the Authority typically partners with neighboring towns and cities to provide connectivity to as many areas possible throughout Southeastern North Carolina. Check back often for new initiatives. Wave Transit provides daily fixed route transportation to Northern Brunswick County via rout 204 Brunswick Connector. 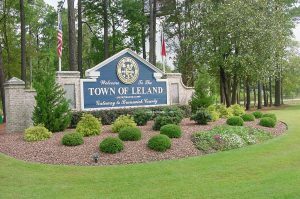 The route serves Leland, Navassa, and unincorporated areas of the area. Click here for the Route 204 schedule. The Authority also recently awarded Elderly and disabled transportation funding to Brunswick Senior Resources, Inc. under the FTA section 5310 program. Wave Transit and Pas-Tran (Pender Adult Services – Transportation) provide connecting service from Pender County to Wave Transit Route 204 at the Cape Fear Community College – north campus located at 4500 Blue Clay Road, in Castle Hayne. The route links to all Wave Transit routes. For information concerning service from Pender County call Pas-Tran at (910) 259-9119. Click here for the Route 207 schedule. In 2013, Wave Transit and the Town of Carolina Beach partnered to begin service to the southern New Hanover County beaches known as Pleasure Island. Wave Transit route 301 originates in Monkey Junction and provides service to the southernmost portion of the County. 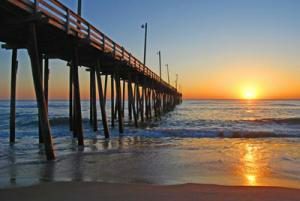 Kure Beach, Fort Fisher, and the North Carolina Aquarium at Fort Fisher are just a quick trip from the end of the route. Click here for the Route 301 schedule.